Curabitur blandit nunc augue, in semper erat pretium eget. Vivamus fringilla turpis id nulla rhoncus, vitae eleifend libero gravida. Fusce ac dolor tempus, tincidunt ligula ac, eleifend nisl. In tempor magna libero, non dictum erat lacinia eget. Fusce finibus justo non tortor dignissim posuere. Etiam sagittis, sapien id porttitor lacinia, metus orci aliquet eros, ut accumsan libero lorem at nulla. Maecenas sit amet molestie eros. Praesent euismod augue ipsum, sed condimentum nisi vulputate non. Integer maximus nunc vel ante lacinia egestas vitae vel odio. Aenean in urna volutpat arcu ultricies mattis. The Standard Kala Acoustic Ubass foam hard case. Kala provide a "hard" case with the acoustic UBass. The case is lightweight (as it contains foam) and quite pleasing on the eye but is not the most durable. 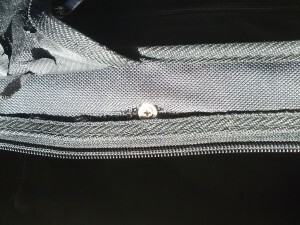 I have found that in a few weeks of use, and I define used as travelling about on public transport loading the case into cars the handle fixing screws came out of the phone quite quickly. This meant that the handle felt and loose in the hand in a most unsatisfying way. On the body of the case this in turn puts a lot of stress on the seams just by the handle and with a few months extra use they were starting to shred where the seams of the zips attach to the body. Since the body of the case is made with foam I tried re glueing the loose screws back into the body but they came out within a week again. The Kala case is not a long term option unless you are a light user. 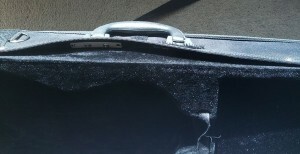 Can I use a standard baritone Uke case? I looked into seeing if I could use a standard "off the shelf" baritone ukulele case. Sadly I have not yet found on that will fit. The UBass is indeed a standatd Uke body size but because the hipshot tuners stick out more than those of a uke, the will not fit. If you find one that does fit, then please let me know! Send me a message on my contact page.